Neptune leather bedside. 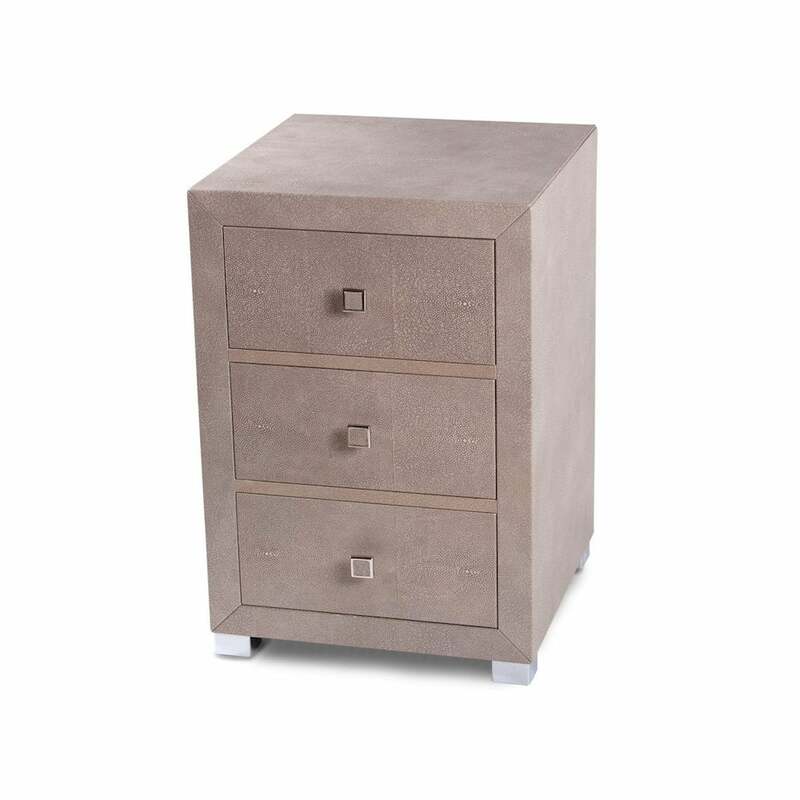 A contemporary leather bedside unit shown here in taupe croc. With three soft close drawers and chrome feet. This can be configured to your individual requirements. As with all Simpsons' pieces, this bedside table has been handmade in England.